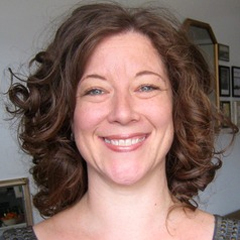 Aimee VonBokel is the Lynette S. Autrey Visiting Professor in the Humanities Research Center at Rice University. She worked as an Assistant Professor/Faculty Fellow in the NYU Museum Studies Program, taught at the Murphy Institute for Labor Studies, and at Washington University. She earned her Ph.D. from the University of Michigan. As a historian, Aimee translates complex stories about the past, mostly about cities, real estate and banking practices, federal and local policy, race and geography, and the politics of memory and preservation. She works in classrooms and museums. She also speaks at conferences and writes articles, but her favourite thing to do is to tell stories visually, using design and mapping tools.